In order to win, you have to take a picture with a zebra, recite the alphabet backwards and send me a picture of you in a movie theater. What, too much? Fine. All you have to do is leave a comment. If you want to like me on Facebook or like nuun on Facebook, you go on ahead and do that. It won't help you win at all, but it would be super swell and I like friends. Legalese: Giveaway open to anyone, in any country that I can think of. (I hope no one from Somalia wins because shipping is going to be killer.) Two winners will be selected at random on Wednesday, May 30th at midnight and announced on Thursday. Any/all comments are eligible to win. I was sent these nuun products free of charge but all thoughts and comments are my own. Especially the parts about the Somalians - please don't hold nuun accountable for that. I have a stuffed animal zebra...when was reading the way to enter I got excited...thinking "I CAN DO THIS!" Way to crush my dreams. Anyway I would love to win some Nuun. I cannot get this rock off of me! i have never heard of it but very interested! I would love to win some nuun, I've been wanting to try it out for ages! I have never and will never resist free stuff. Feeling any better? Don't have a zebra but Z, Y, X, W... :) I love Nuun! Always wanted to try Nuun but have never had the opportunity. Here's my chance! Would love to try this!! 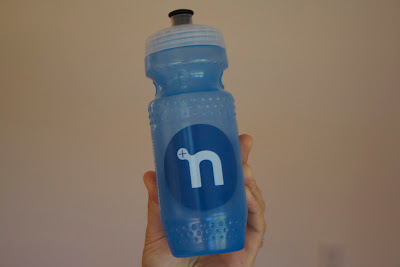 I just recently was introduced to the nuun products and I love them!! Great way to rehydrate after a long run!! I've never tried nuun, but if it gives me the shits I promise I'll blog about it. If I ever use it. I like free things, but I'm lazy. Never tried it but would love to. :) anything to try to stay hydrated in this heat! Maybe I should get some in case I get any pregnancy constipation. I love Nuun! I started using it a lot this year while training for my ultramarathon. It was nice to be able to replenish electrolytes without calories and sugar since I was eating a ton of solid food at the same time. I tasted it once. I liked it. But not enough to buy it! You know I'm super cheap. So free would be fab! De lurking after months of reading to enter. :) I love nuun! I have only tried the strawberry lemonade but would love to try the other flavors! I've heard lots of people rave about nuun, but I've never tried it before. We love Nuun at our house. My kids are always finding my stash. They too like the strawberry lemonade, though the citrus is my favorite. Once I was buying Nuun at REI and they had a bunch of banana Nuun on clearance. That made me go hmmmmm. Anyone tried the banana flavor? I need more nuun! Please pick me! I'm starting my full marathon training soon and definitely need to find a good electrolyte drink! Id love to try it out! I've been drinking the lemon lime flavor only, I guess now I'm willing to try the strawberry lemonade. I heart nuun, my favorite flavor is citrus fruits although strawberry lemonade is a close 2nd! You made the team? Where have I been? Awesome! Never tried it before....hope I win!! I was so about look for a zebra to take a picture with lol I really want to try Nuun and this would be the best if I was to win this giveaway! Think happy thoughts! I have only tried the purple one; I am not even sure what kind it is, but it was pretty good. I have a zebra striped chica band. If I send you a pic of that, do I get a bonus? Oh me please! I too have only tried the purple one (grape), and was not a fan, but I think I would LOVE lemon lime or strawberry lemonade. Nuun works for me! Love the strawberry lemonade...and the grape...and, really most of the flavors I've tried! I have a box full of Nuun in my closet but need more. Especially fruit punch. I've never tried Nuun!! Don't even know where to find it. I've never tried Nuun I don't think we can get it here. i've been drinking the triberry but the strawberry lemonade sounds awesome... love me some nuun! 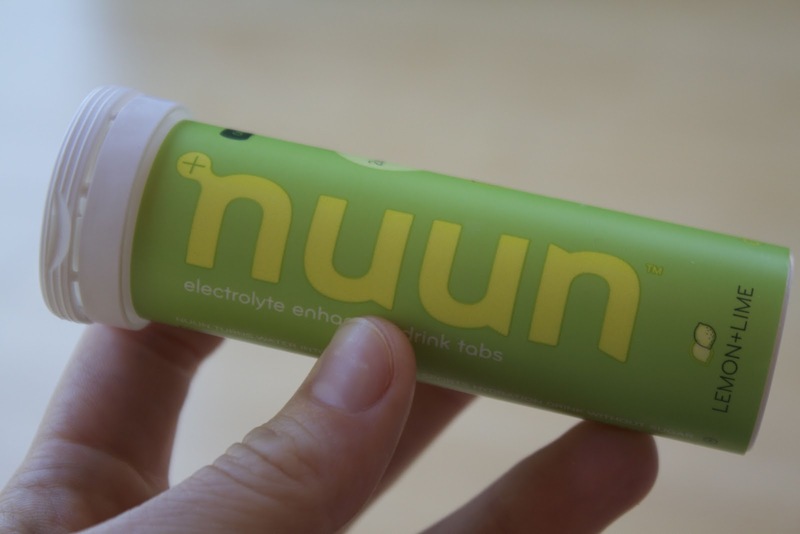 I like nuun, but I never buy it. The only time I seem to drink it is when I go to race expos where I raid the sample table. So I'd love to win sink can stop being a theif. Love nuun! Hope I win! I have been dying to try Nuun! IvE never tried it but id love to! LOVE nuun. I like the strawberry lemonade the best but any flavor is good with me. It works! 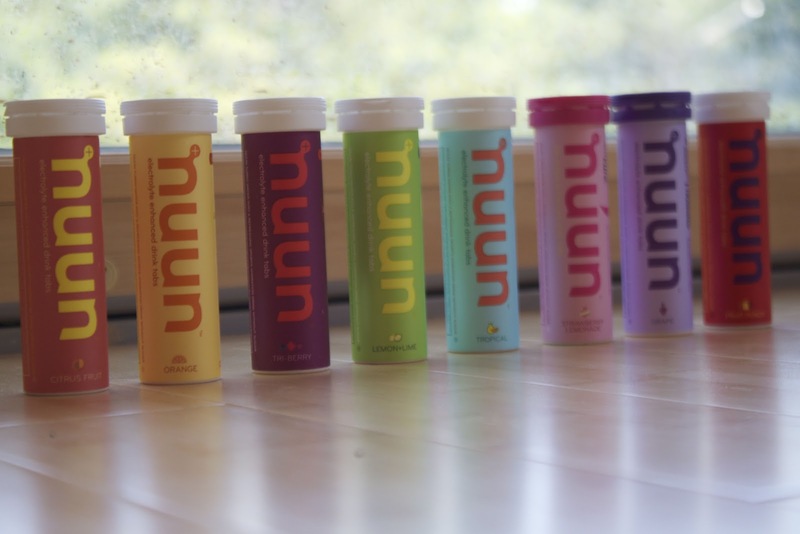 I'd love to try Nuun! Ha, I hope shipping to South Africa will be better than to Somalia! 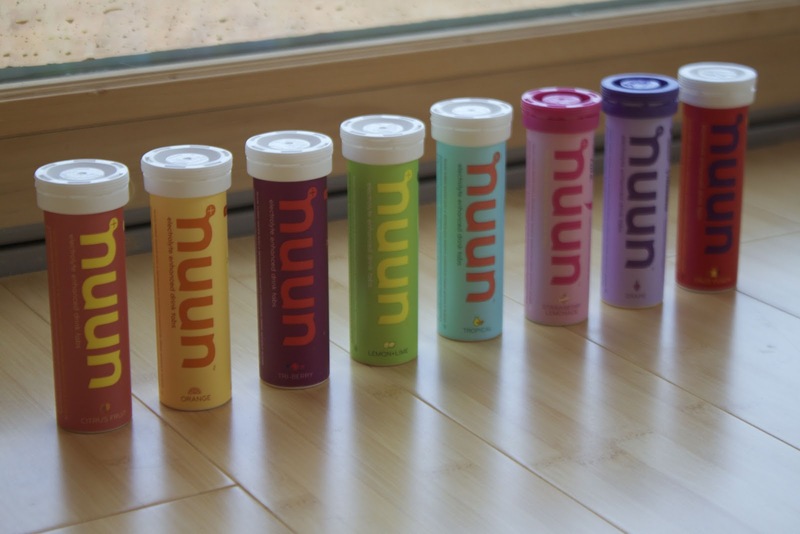 I've read so much about Nuun on blogs--would love to try it!! NUUUUN! I like it. Despite the blog saturation of it. It makes me happy. I'd like to win some. And I live in Canada - not Somalia. So shipping could be worse. I've been wanting to try this now that its hot and my 10k training has started! I actually purchased the strawberry lemonade Nuun not too long after you posted your video. My husband hates it but I love it! I really really want to try out Nunn!! I've never had Nuun, but I would obviously love to try it. Then I would tout it all over my blog too! 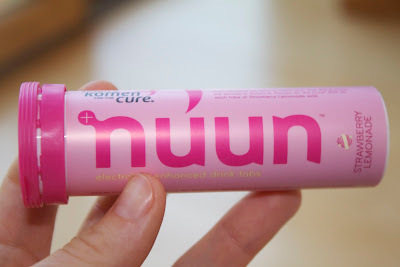 I have tried Nuun once, but didn't love the kind I tried- would love to try more flavors! I love nuun...in fact, I just ordered some 2 minutes ago, but one can never have too much nuun. Would love to try some other flavors of nuun! Strawberry lemonade is my favorite flavor, I can't believe you've never had it. I usually don't drink it during my run but after, I just enjoy it more that way. I've alllllllways wanted to try nuun AND I don't live in Somalia. BAM. and I actually just lost my water bottle. coincidence? I think not! Oh my gosh. I tried nuun for the first time at a race expo last month and it's really delicious stuff. I would love some! Nuun got me through my 1st RTB relay. I need more! I've only tried one flavour of theirs too. Maybe I need to branch out more. I've never heard of these things, but they sound astronaut food-like, which is always good. I like Nuun. I need to try new flavors. I've never heard of Nuun and would love to try it. I have to say I am a little disappointed that all I have to do is leave a comment. I was looking forward to having my photo with taken with a Zebra and we were having the shoot done in a movie theater, never mind. I am one of those people coming out from under a rock, I ashamedly hadn't heard of Nuun till now, but I do know what an electrolyte is! Am I forgiven? Strawberry lemonade is da bomb!!! LOVE Nuun and would love to win some more. Sometimes I put 2 whole tablets in if it's hot or really intense. Especially biking. It sure helps keeps the cramping away. I wish I could get away with 1/2 tablet. I usually buy 10 tubes at a time so I really hope I win! I'm interested to try this stuff, and probably will even if (when) I don't win! I have heard of Nuun but have never tried it! I would love to try it! I use Hammer Endurolytes, but I would certainly give Nuun a try if I won! Love that it doesn't have any sugar. zyxwvutsrqponmlkjihgfedcba... just in case that helps me win! I love nuun and I enjoy reading your blog! I have not tried Nuun-I haven't seen it anywhere local in our rural area, but I would love to be able to give it a try! Thanks for the chance to win! Nuun is going to be a necessity for these freaking brutal summer runs! I'm still working to find the best fueling for my long runs, so I think I need to revisit Nuun and try some of the newer flavors.